The laziest story in tech journalism is the old standby, “x is over-hyped”. It’s most common a year or so before a major new technology achieves significant adoption. This week “x” is 5G. In many cases, breakthrough technologies end up being under-hyped because their ultimate uses weren’t anticipated by the designers of first-generation products. 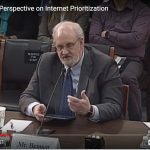 The Internet, for example, was simply meant to be a test bed for a few dozen researchers. Ahem. The “5G is over-hyped” meme is upon us thanks to bloggers, tech journalists, consultants, professional contrarians, and anti-wireless technology bigots. This isn’t all bad by any means – Silicon Valley is involved, and Valley’s hype machine is more important to investors than its ability to produce genuine innovation. But 5G is both further along and more useful than critics realize. And let’s face it, most of these critics don’t know much about digital signal processing, antenna engineering, beam-forming, and radio propagation. For the most part, they’re either reacting to the the complexity of the subject by over-simplifying it or they’re sensing the desperation of corporate marketers to sell a technology they don’t understand either. 5G is small cells, better signal processing, more spectrum, higher-frequency spectrum, network reorganization to support low latency apps, and ubiquitous coverage. This adds up to speed: 5G will be 100 to 1000 times faster than today’s wireless networks. The point of 5G is to remove barriers to innovation from the standards and specifications for wireless networks. 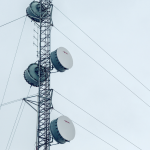 Any new radio, new use case, new modulation or coding scheme, or new application should be supportable by adding the right equipment to the right parts of the 5G network without disrupting the rest of it. In other words, 5G designers want to free up the flow of money and technology from the operators and the engineers into the network itself. For example: 5G seeks to support latency as low as 1 ms. This obviously means that it wants to support some applications that can only work over short paths. And that means that the 5G network has to support specialized devices placed close to the limits of its radio signals. There are applications that need this feature – or may need it – such as certain driverless car implementations. This doesn’t mean that all applications have to be powered by equipment that’s less than 100 miles from the point of use; it just doesn’t preclude it. 5G is a fat pipe for innovation to flow into the wireless network. A lot of the skepticism about 5G comes from fear that millimeter wave radio signals are fragile. But field tests are showing that they’re actually quite robust, for very reasons that the bloggers and consultants are worried about them. It’s true that they don’t penetrate walls and foliage because they bounce off. But this bouncing means they can arrive at obscured destinations by bouncing off solid objects (walls, trees, buses, streets) and penetrating windows. 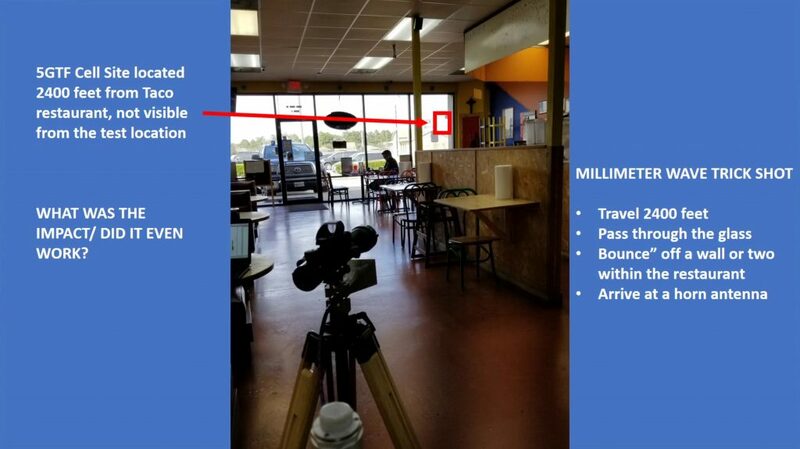 Signal Research Group analyzed millimeter wave signals in Houston for Verizon and found they can propagate as far as 4500 feet, even in non-line-of-sight conditions. Verizon’s Chief Engineer and Head of Wireless Networks Nicola Palmer said last year that she and her team were finding that millimeter wave propagates a little better than they thought it would in terms of line of sight and elevation. Their tests showed they were able to get up as high as the 19th floors of a building and they were also seeing speeds in and above the 1 gigabit-per-second range beyond 2,000 feet. Those type of findings were based on Verizon’s trials with non-paying customers in 11 markets at the time. SRG also noted that while Verizon is currently using the 5GTF specification, they believe the data they collected and the results concluded from their analysis are equally applicable to the industry-defined 3GPP 5G NR specifications. So the fears about millimeter wave propagation do not appear to have any empirical foundation. 5G consists of several changes to the 4G/LTE network: small cells, more frequency bands, a software overlay that virtualizes the network with slicing and NFV, and architectural changes to the Evolved Packet Core. The radio part, called New Radio (NR), gets the most attention and creates the most confusion. It’s possible, you see, to use the NR on an LTE network and enjoy higher data rates as a result. Therefore, it can be difficult to say whether a given network is 4G or 5G when it contains elements of both. We had the same confusion over 4G. Because 4G and 5G are marketing labels, carriers in some countries called their LTE networks 4G (US and Europe) while others used the term “3.9G” (Japan). This leads some bloggers to say 5G is no big deal because NR + LTE Advanced provides 100s of Mbps of throughput without the other 5G elements. Either way, we’re likely see NR before we see the rest of 5G. And some parts of 5G as we currently understand it may never exist on a large scale. But other features that we don’t know about today will probably take their place. The transition to 5G starts as soon as NR is deployed on towers and we have hand sets that can use it. That’s likely to start before the end of the year. While some 5G networks will initially support fixed wireless, others will support mobile. Both Verizon and AT&T are trying out fixed right now, and T-Mobile has announced 5G mobile handset trials in 30 cities this year. UPDATE: Here’s a good summary of where the carriers are with their 5G build outs right now. Expect service for mobile devices in the last half of 2019.